Q1. 15.9% of 324.98 – 20.9% of 199.89 = ? Q2. 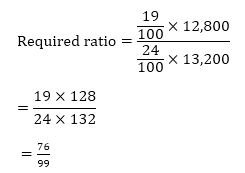 3058 ÷ 27 × 3 = ? Q3. (3.58)² × (1.75)² = ? Q6. In how many different ways can the letters of the word ‘AWARE’ be arranged? Q7. Ayesha can complete a piece of work in 16 days. Abidha can complete the same piece of work in 8 days. If both of them work together then in how many days can they complete the same piece of work? Q8. In a school there are 250 students out of whom 12 percent are girls. Each girl’s monthly fee is Rs 450 and each boy’s monthly fee is 24 percent more than a girl. What is the total monthly fee of girls and boys together? Q9. The difference between the population of a city in 2015 and 2016 is 5000. 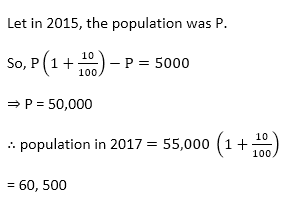 If there is 10% increase in population per year from the previous year, what is the population of the city in 2017? Q10. A gave 40% of his monthly salary to B. B spent 20% of this amount on taxi fare. 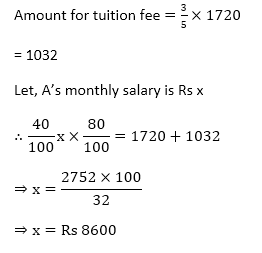 He spent the remaining amount in the respective ratio of 3 : 5 on tuition fees and library membership. If he spent Rs 1720 for membership, what is A’s monthly salary? 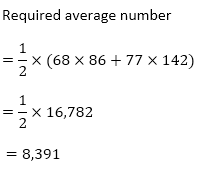 Directions (11 – 15): Read the following graph and table carefully and answer the questions given below. Q11.What is the respective ratio of the number of male candidates succeeded in the interview in 2004 and the numbers of female candidates succeeded in interview in 2009? Q12.The number of female candidates who did not succeed in the interview in 2006 is what percent of the number of male candidates appeared for the interview in the same year? Q13.What is the average number of male candidates unsucceeded in the interview in the years 2005 and 2009 together? Q14.What is the difference between the total number of male candidates succeeded in the interview in the years 2004,2005 and 2009 and the total number of female candidates unsucceeded in the interview in the same years? Q15.The number of male candidates succeeded in the interview in 2005 is approximately what percent more or less than the number of male candidates unsucceeded in the interview in 2004?